Wanting to make my friends Cara and Lynn’s last night in New York fun, memorable and one with a view you can’t beat, I took them to The Ides Bar at the Wythe Hotel in Williamsburg. From the moment we stepped out of the elevator to the moment we called it a night we were presented with incredible views of Manhattan. 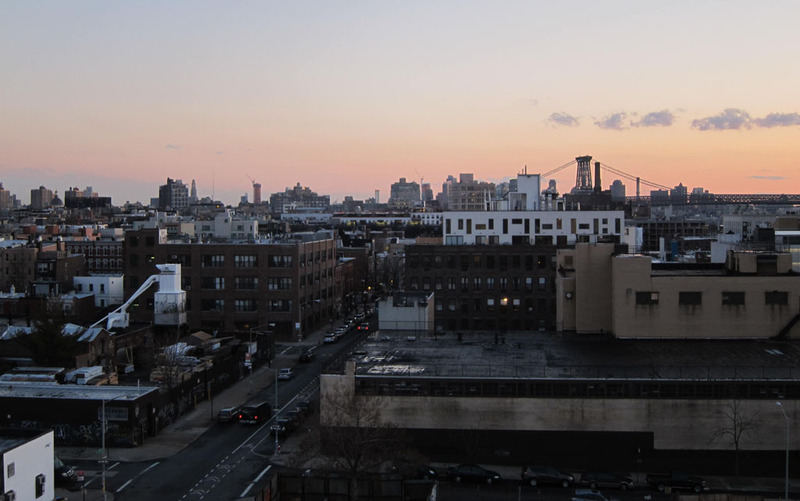 Located on the 6th floor of the recently renovated Wythe hotel, down on the Williamsburg waterfront, The Ides Bar provides a well stocked bar, extensive cocktail menu and a phenomenal view of Manhattan and Brooklyn. With an indoor and outdoor space The Ides bar guarantees its patrons a great vantage point to look out over the East River to Manhattan wherever they choose to sit. Inside, the bar exudes style, with its sharp yet simple layout and décor. Outside, the outdoor area is spacious and decked out with picnic style tables and chairs. While the terrace is open year round it’s better suited for long sunny days in the summer months. While the bar’s interior makes it look like it’s a rather classy joint, full of well to do’s, there’s actually nothing pretentious about the crowd. 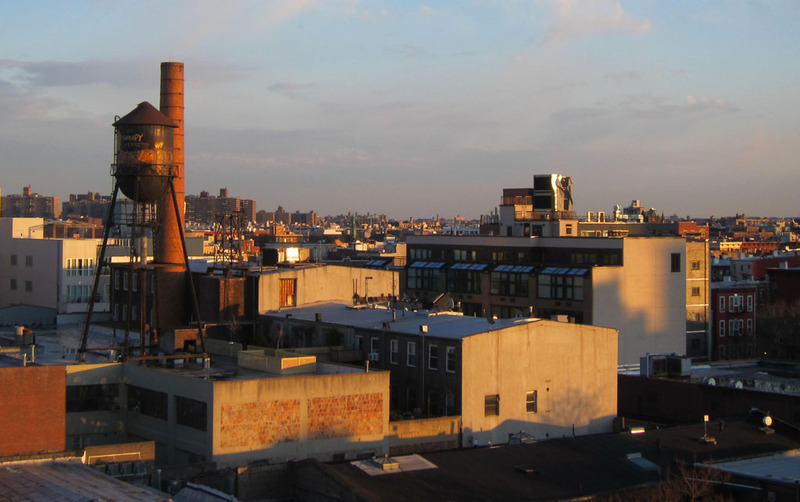 Patrons are a mix of hotel guests, Williamsburg locals and those seeking an elevated space. The hosts on the door seem to be more relaxed about the dress code than in other hotel bar establishments. In the evening however, they do tend to be a little more pernickety about what bar goers are wearing. Drinks are reasonably priced ($12 for a cocktail) especially when you consider the location and the sweeping views. As always I recommend going early in the evening to avoid the crowd later on. It’s not uncommon to queue on Friday and Saturday nights. Also arriving early means that you’re more likely to catch a glimpse of the setting sun as it gently dips below the Manhattan skyscrapers. On the particular night we were there the sky was illuminated with fiery yellows and oranges. And as I looked around with Manhattan as our backdrop, I could not think of a better place to toast to an incredibly fun week in NYC. To enter the bar, walk into the hotel lobby on street level and take the elevator to the 6th floor. Usually there’s a host on the desk to informally check you in and take you to the elevator.